We have good news and bad news for you this morning, bargain hunters. 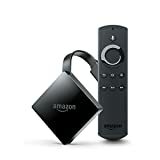 The bad news is that Amazon’s big sale on the Fire TV Stick has finally come to an end, albeit a few days later than we thought it would. But the good news is that Amazon kicked off a new sale and it’s even better! If you’re an Amazon Prime member, you can get a Fire TV with 4K Ultra HD and Alexa Voice Remote for the same price as a Fire TV Stick. That’s right, Amazon’s $70 4K Fire TV is available right now for only $49.99! This deal won’t last long and you need to be a Prime member to take advantage. And don’t forge that if you’re not a subscriber already, you can get 30 days of Prime for free and still take advantage of this deal.